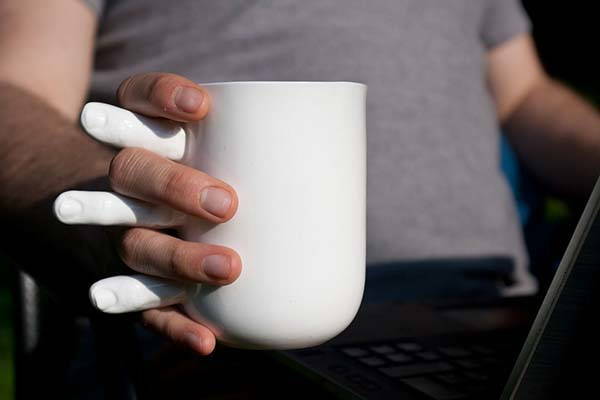 The handmade coffee mug not only holds your favorite beverage, but also wants to communicate with your using three integrated fingers. Like the design? Let’s keep checking. 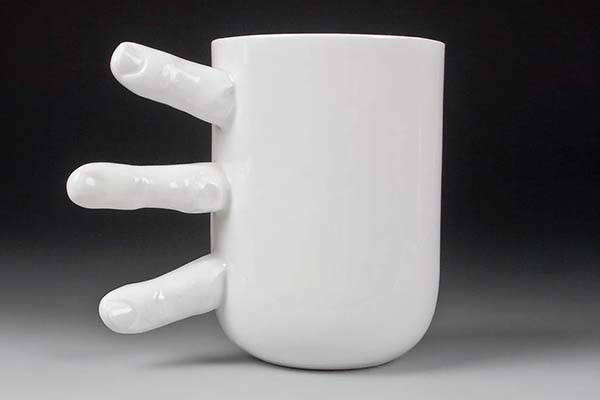 This is a uniquely designed and well-crafted coffee mug handmade by KinaCeramics, a handicraft studio from the UK. The coffee mug measures 3.2 inches diameter by 4.7 inches tall. As we can see from the images, it shows off three life-like human sized fingers extending from one side, which not only serves as the handle, but also makes you feel like holding someone’s hand. Meanwhile, the solid white design delivers elegant minimalistic aesthetics. The coffee mug is handcrafted from English bone china, and the smooth and glazed exterior provide a comfortable grip. Furthermore, the mug is big enough to hold a generous 450ml of your favorite hot or cold drink. And it’s safe to wash in dishwasher. 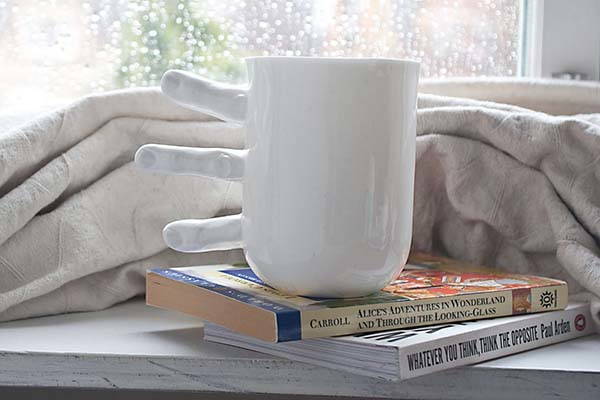 The handmade coffee mug with fingers is priced at $44.99 USD. If you’re interested, jump to Etsy for its more details.